Trainers have a lot of things to say to us, they are always giving us advice and guiding us to go on the right track. 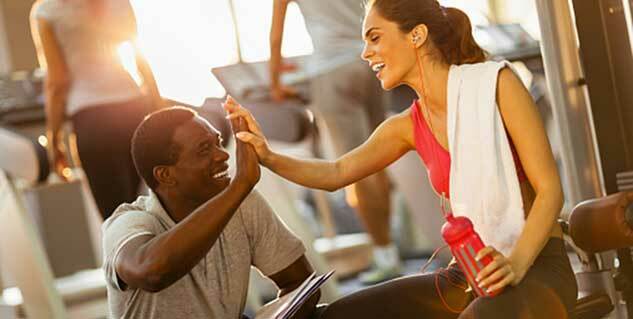 Diet tips from a gym trainer will probably be the best advice to follow on your journey to weight loss, as they have the best advice to give. It isn’t just random happenstance that people get fit, but there is a lot of dedication that goes into it. Diet gym trainers recommend the best of diets for people of all body types. Here are five such diet recommendations that all trainers have in mind. Perhaps the most important thing you need to understand is that starving is not going to help you to lose weight. That is just a misconception, and in fact, studies suggest that starving can make you fat. Diet tips from a gym trainer would certainly include this one advice, yes, starving is useless. The most important form of diet is eating right, not crash dieting, or being on a juice diet. You have to eat as your body needs nourishment, but you must watch what you eat. Your gym trainer would tell you to snack well, as this of vital importance. Often we find ourselves gorging on unhealthy fried foods, oily and fatty foods. This is primarily due to a lack of nutrition, and this is why snacking healthy is important. Diet tips from a gym trainer would tell you that eating an apple in-between meal would allow you to eat less during the meal. This is a nice trick for those looking to keep fit. Also, you should replace all the junk foods with nuts and fruits, and you will realise how much this helps your cause for weight loss. Most trainers will tell you not to skip your breakfast, and this advice has an awful lot of merit. Diet gym trainers recommend that skipping breakfast would make your tired and hungry, and you experience carb cravings. This will then lead you to eat more than that is necessary, thereby leading to your weight gain. The best advice they will give you is to eat protein filled diet in the morning, which means that you need to eat eggs, milk, and fruits. This will fuel your body to work better for the entire day. This is one trick that is pretty commonly practised by most trainers themselves. The simple reason being is that the longer you wait between meals, the hungrier you get, and therefore, you end up over eating. The ideal way to go about your day to day meals is to eat 6 small meals throughout the day, as this way you can really focus on what you eat and do not go astray due to hunger. This is one of the most important diet tips from fitness coaches. Perhaps the most important tip is to include fresh fruits and vegetables and of every kind. This is large because these are the cornerstone of any healthy diet. Fruits and vegetables are incredibly low in calories and high on nutrition. So, an important diet tip from fitness coaches would be to include lots of green vegetables, and fruits of all kinds in your diet. Also, do not forget to drink lots of water.